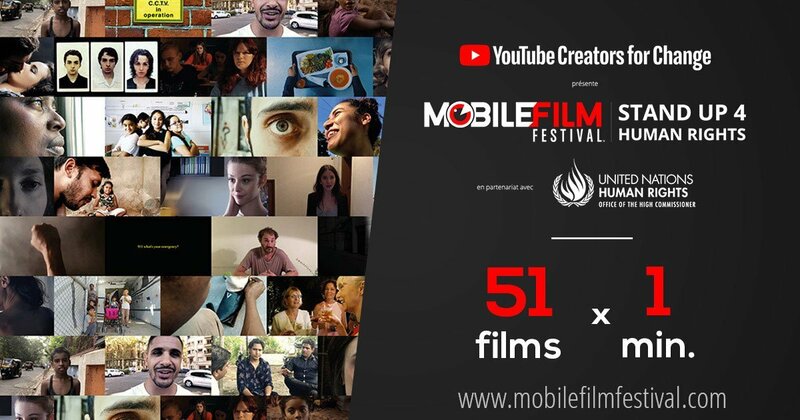 The Mobile Film Festival, 2018, celebrates Human Rights through the one-minute videos of filmmakers from around the globe. In honor of the 70th anniversary of the Universal Declaration of Human Rights, marked 10 December, the United Nations has allied with the Mobile Film Festival to host a special edition of its annual international film competition, now in its 14th year. Over 700 films have poured in from 81 different countries in a call to #StandUp4HumanRights, the historic anniversary’s official hashtag. The UN Office for Human Rights (OHCHR), the European Union, and YouTube Creators for Change, jointly hosted the contest, asking participants to create films about human rights issues of interest, and adhere to three guidelines: one film, made on a single mobile device, lasting one minute or less. A jury of film and television professionals viewed the films on Tuesday night at a 600-seat theatre, joined by advocates, human rights experts, and government officials. Awards were presented for various categories, from best screenplay, to best director and actress, and recognized with grants ranging from three to 20,000 Euros. The Festival founder, Bruno Smadja, said the competition was an exercise in inclusivity. “Its easy today to find the access to a smart phone…by taking away the economic constraints, we make the same competition for everybody. Somebody can be from a very high school in the United States or in France or in Germany, at the same time as somebody that is a self-made filmmaker in Africa, in Russia,” he said in an interview with UN News. The aim of the festival is to reveal and support emerging talent, by giving them the floor from all different cultures and backgrounds. Mr. Smadja said a large number of contestants used the opportunity to tackle women’s rights, the rights of migrants, children, the LGBTQ community, and other minorities. A selection of 51 finalists’ films can be viewed on the Festival page, YouTube, Instagram, Facebook and Twitter.